If you’re an Xbox fan looking for a truly rare collectible, you had the chance to win a 24 karat gold plated Project Scorpio Edition Xbox One X in a contest held by Microsoft. 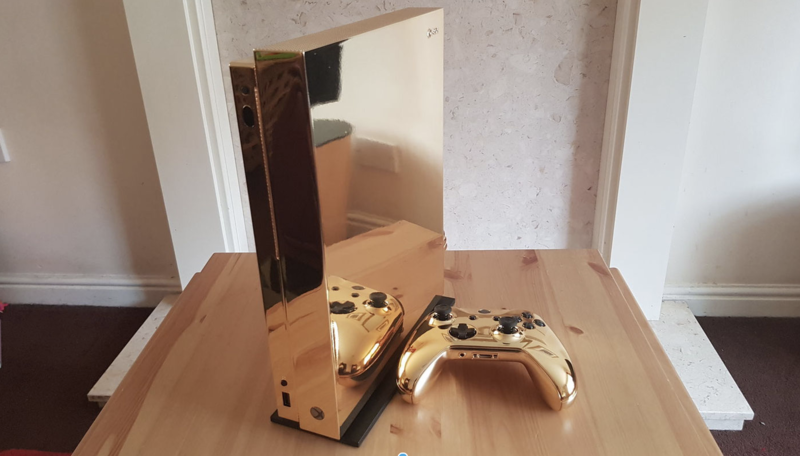 To win this extravagant console, all you had to do is keep playing games like you normally would each month, but you had to have a Game Pass subscription in order to be eligible. By being a Game Pass member and playing the games the subscription offers, you would earn a couple of different rewards automatically. The last reward being the chance to win the legendary gold Xbox One X. Unfortunately, due medical reasons he had to sell it on eBay! It was sold for a mind staggering 8.450 British Pounds. That is almost 10.000€ or over 11.000$. Full high quality pictures are safe with us - Thank you for sharing these! Rockstar is giving away 3 custom golden consoles!